I recently had a discussion with a friend about what is more important for a success: motivation or discipline. I was talking about the motivation as a driving force to go forward but he reckons that discipline would always beat motivation. Hmmm… My first response was “But don’t you need motivation to be disciplined?” It made me thinking… what is more important for your success… Are they really two very different things? What is discipline? What is motivation? Ok, let’s start from definitions first. I took these ones from Wikipedia. Before I wrote this article I made some research online to find out what others think about this topic. Majority of other website claim that you are better to have discipline than motivation. But do we really understand the difference? Most people believe that motivation is only this special elevated feeling you need to start doing something. Discipline on the other hand is perceived as doing something despite the fact you are not really feeling like doing that at that moment. Based on that understanding, discipline is seen as better value, as the person using discipline is using reason instead of just feelings to make a decision about the action which follows. If you are motivated and feeling good about what you are about to do then that’s great. This good feeling will make you to proceed with action. You can also choose discipline to go on. Discipline suppose to give you a power to do things even when you are not feeling to do them but you think you should (e.g. physical exercise). But… is it really discipline we praise in this instance? What is this discipline which makes you do things? Isn’t it really motivation, maybe different kind but still motivation? 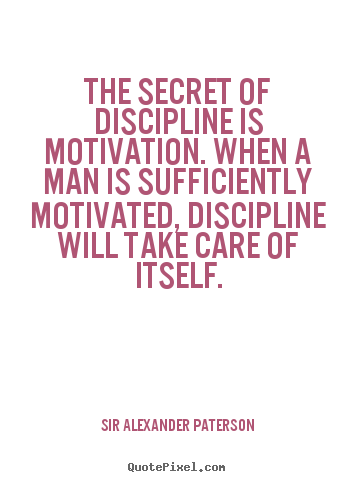 I believe that what you call discipline or self discipline is really a type of motivation. Instead of “I feel great now to do it” feeling it is “I will feel great when I do it and I will get benefits from it later” feeling. If you didn’t have motivation to do your exercise you would not go to the gym. It is just different type of motivation! I think the confusion arises from the fact that some people understand motivation as a pre-action process and discipline as actual action. I think it is confused for habits. 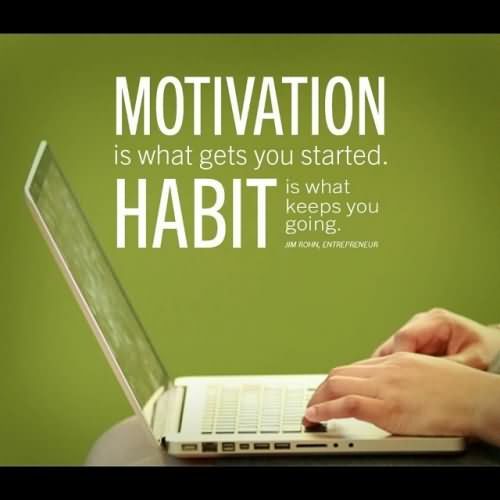 If you have a good motivation to do something and you develop a habit you are on the right track. When people talk about discipline in their lives, they usually mean consistent pursuing of goals e.g. exercise. What you really want is to build good habits instead. Think about the gym example- if you are motivated (either by feelings or reason) and grow a habit to go exercising few times a week you are a winner. Me: What is discipline, exactly? How is it different than motivation (which is a set of actions we can actually do)? Friend: Motivation is like pulling you toward something, making yourself want to do it. Discipline is pushing you to do something, making yourself do something you don’t want to do. Me: OK, so if I have no discipline, how do I get it? Friend: You practice. It’s a muscle that gets stronger as you practice. Me: How do I practice if I have no discipline? Friend: Just do something small, then keep practicing over and over. Me: But it takes discipline to do that. What specific action do I take to make myself do something if I don’t want to do it? Friend: You push yourself to do it anyway. Me: But that takes discipline that I don’t have. OK, let’s say I’m sitting on the couch and I want to go out and run, or get up and write. How do I make myself do that? What specific action do I take? Friend: Hmmm. You visualize about the end result, something that you want. Me: That’s a motivation action, not a discipline action. Friend: OK. Then you set up rewards. No, that’s motivation. Hmmm. 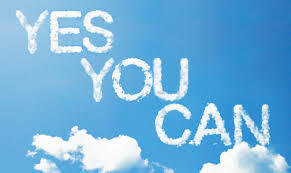 You psyche yourself up and tell yourself you can do it. No, that’s motivation too. You tell people you’re going to do it. No, motivation too. You focus on the enjoyable aspects of it … or, maybe you only do the things you like doing. No, those are motivation things. Huh. Depends if you are more into feelings or reason and hard facts- either motivation or discipline/self-discipline can help you to achieve your goal. Motivation can be your initial inspiration. This positive drive can give you enough power to proceed. If, for any reason, you need more than that, than self-discipline can help keep you going. But to get the discipline working, it’s your initial motivation that says it’s worth it. Thanks for visiting my website!!! Years ago I did my master’s thesis on leadership style and language. So I found your post an interesting and fun read. Here’s what I believe: Motivation speaks to the desire and vision that one has for him or herself; discipline addresses the steps needed to achieve the desire or vision. 3)Giving more clear directions…and so on. One can become a better at golf by taking the steps to improve his or her swing. Taking the steps is the discipline. Wanting to become the best leader in the organization or the best golfer in town is the motivation. By the way, this is the reason why many actors ask the writer or director “what is my motivation?”. Appreciate your comment Thabo Nkomo!I like your definitions of motivation and discipline 🙂 “Motivation speaks to the desire and vision that one has for him or herself; discipline addresses the steps needed to achieve the desire or vision”. Great post thank you! Love your site and your book reviews. Discipline is great to have and a wonderful feeling, but it tends to come and go (at least for me) Discipline is what is going to keep you moving during the times of no motivation. Setting up small goals and rewards along the way is going to help to stay motivated like you say, setting goals is VERY important in anything you want to achieve. There are many interesting studies on that subject that show remarkable results. People who don´t set goals (or more importantly don´t write them down and work on them consistently) most likely won´t reach them, or it will take a loooong time. Hi John, thanks for your great comment! Yes, I agree completely about setting small goals and using rewards to help stay motivatated. I actually wrote an article about it- How to get (and stay!) motivated, have a look and let me know what you think. Thanks again! Good question and it’s interesting the points you make. For me desire trumps all else. If a person has the desire to do something they’ll be motivated to keep pushing and disciplined enough to fight through the parts they don’t like that comes with any positive endeavour. Desire to do fuels everything else. Good point John! Appreciate your comment! I think that they are intertwined with each other. I don’t think you can have one without the other in a sense. Example 1: If one were to always write a blog post everyday because they were very disciplined to do so then it will benefit the blog. But in this scenario they don’t have much motivation to write it to the best of there ability which would create a negative effect on the blog. Example 2: One doesn’t write a blog everyday but they get a few in a week, but they love writing there posts so they go into great depth and explain it all very well. This would be great for the blog. Example 3: One writes a post everyday because of discipline and loves writing everyday. Not only are they being persistent but they are getting great engagement because of the time they took to write the amazing post. This is why I think they go hand in hand for sure. Hi Derek, thanks for your comment! I agree- you need to have both for success. Hello Elektra, I enjoyed reading your post about motivation vs. discipline. I find the most effective kind of action we can take is ‘inspired’ action. When we feel inspired, we do things easily and more productively, we’re in the flow and success is the natural outcome. Motivation pushes us to do: diet, exercise, study, finish the report, write blog posts. Motivation is hard. It usually includes resistance. 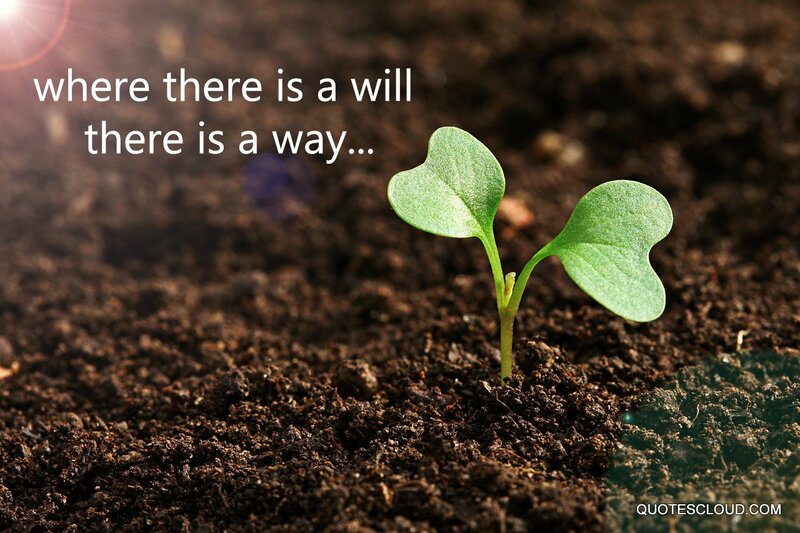 It requires willpower and discipline. After all, the house won’t clean itself – it must be done. Hi Jude, I think inspiration, motivation and discipline are just different stages on the way to success. Inspiration would be the first spark, then motivation gives you extra fuel to proceed and finally discipline keeps you going forward no matter what. Thanks for your comment!